This review aims to highlight the limitations of current standard-of-care prostate cancer (PCa) imaging and discuss novel clinical imaging in advanced disease. PCa staging through imaging is important for proper selections in clinical treatment. Traditional imaging techniques for metastatic disease (i.e., computed tomography [CT], magnetic resonance imaging [MRI], and radionuclide bone scan) have suboptimal performance in early recurrent or metastatic disease. Novel positron emission tomography agents including radiolabeled prostate specific membrane antigen (PSMA), choline, and anti-18F-fluorocyclobutane-1-carboxylic acid (18F-FACBC) have demonstrated improved sensitivity and specificity in initial staging and early biochemical recurrence (BCR). Conventional imaging modalities for PCa incompletely characterize disease burden. The development of new PET tracers in combination with CT and MRI offers superior anatomic localization and biologic correlation of tumor sites, which enhance providers’ abilities to make appropriate decisions regarding treatment. SEER cancer stat facts: prostate cancer. National Cancer Institute, Bethesda, MD. 2018. https://seer.cancer/gov/statfacts/html/prost.html. Accessed 10/21/2018 2018. Network NCC. Prostate cancer (version 4.2018). 2018. https://www.nccn.org/professionals/physician_gls/pdf/prostate.pdf. Accessed 10/19/2018. Radiology ACo. ACR appropriateness criteria. https://acsearch.acr.org/list. Accessed 10/19/2018. Mena E, Turkbey I, Lindenberg ML, Harmon S, Czarniecki M, Adler S et al. 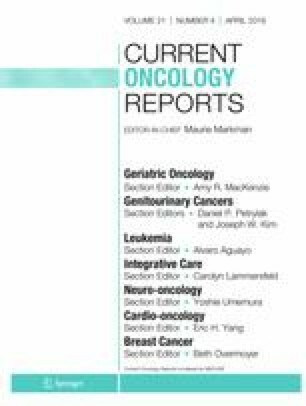 Evaluation of PSMA-based 18 F-DCFPyL PET/CT imaging in patients with biochemical recurrence prostate cancer after primary local therapy. J Nucl Med. 2018;59(59). http://jnm.snmjournals.org/content/59/supplement_1/451?related-urls=yes&legid=jnumed;59/supplement_1/451. Cardinale J, Schäfer M, Benešová M, Bauder-Wüst U, Leotta K, Eder M, et al. Preclinical evaluation of 18F-PSMA-1007, a new prostate-specific membrane antigen ligand for prostate cancer imaging. J Nucl Med. 2017;58(3):425–31. https://doi.org/10.2967/jnumed.116.181768. Fankhauser CD, Poyet C, Kroeze SGC, Kranzbühler B, Schüler HIG, Guckenberger M, et al. Current and potential future role of PSMA-PET in patients with castration-resistant prostate cancer. World J Urol. 2018. https://doi.org/10.1007/s00345-018-2408-2.